CheapASPNETHostingReview.com | Cheap and Relibale ASP.NET Core 1.0 ( ASP.NET 5 ) hosting. ASP.NET Core 1.0 is not a continuation of ASP.NET 4.6. It is a whole new framework, a side-by-side project which happily lives alongside everything else we know. It is an actual re-write of the current ASP.NET 4.6 framework, but much smaller and a lot more modular. Only recently Scott Hanselman announced the final name will be ASP.NET Core 1.0 after we’ve got to know it under ASP.NET 5, ASP.NET vNext and Project K.
Some people claim that many things remain the same, but this is not entirely true. Those people mostly refer to MVC 6 which is a whole separate framework which can be plugged into ASP.NET, but doesn’t have to. While MVC 6 remains very familiar, ASP.NET Core 1.0 is a big fundamental change to the ASP.NET landscape. If you are a follower of the live community standups then you might have heard Damian Edwards saying how the team gets a lot of pressure (from above) to get an RTM out of the door. I am not surprised and can understand why ASP.NET Core 1.0 is strategically so important to Microsoft. It is probably a lot more vital to the future of .NET than we might think of it today. ASP.NET Core 1.0 – What has changed? A better question would be what has not changed. ASP.NET Core 1.0 is a complete re-write. There is no System.Web anymore and everything which came with it. ASP.NET Core 1.0 is open source. It is also cross platform. Microsoft invests a lot of money and effort into making it truly cross platform portable. This means there is a new CoreCLR which is an alternative to Mono now. You can develop, build and run an ASP.NET Core 1.0 application either on Mono or the CoreCLR on a Mac, Linux or Windows machine. This also means that Windows technologies such as PowerShell are abandoned from ASP.NET Core 1.0. Instead Microsoft heavily integrates Node.js which can be utilized to run pre- and post build events with Grunt or Gulp. It is also the reason why things like the .csproj file got replaced by the project.json file and why all the new framework libraries ship as NuGet packages. This was the only way to make development on a Mac a first class citizen. But Microsoft went even further. Part of a great development experience is the editor of choice. Visual Studio was privileged to Windows users only. With Visual Studio Code Microsoft created a decent IDE for everyone now. Initially it was proprietary software but quickly became open source as well. There are many more changes being made, but the common theme remains the same. Microsoft is dead serious about going open source and cross platform. Personally I think this is great. All of this is an amazing change and crucial to the long term success of ASP.NET. ASP.NET Core 1.0 – Why did everything change? One might wonder why this new direction towards the Mac and Linux community? Why does Microsoft invest so much money in attracting non-Windows developers? Visual Studio Code doesn’t cost them anything, it is unlikely that they will use MS SQL server in their projects and there is a high chance that these web applications will end up somewhere on a Linux box in Amazon Web Services or the Google Cloud Platform. After all these are the technologies which non-Windows users are more familiar with. My guess is that all of this doesn’t matter for now. The truth is that an ASP.NET developer who cannot be monetized is still better than a non ASP.NET developer. This is particularly very true if you think that the .NET community is shrinking (relatively). This is just my own speculation, but I think Microsoft fears losing .NET developers, which means they are subsequently losing people who are more willing to pay for other Microsoft products such as MS SQL Server or Microsoft Azure. If you are a .NET developer you might think this sounds crazy, but think of it from a different angle. Windows Desktop application development is slowly dying. There is no denial to that. Left is the mobile market and the web. Windows phones and tablets are still a drop on a hot stone in comparison to the market shares of iOS and Android. This leaves the web as a last resort. Now the web is an interesting one. After Silverlight’s death ASP.NET is the only Microsoft product which competes with other web technologies such as Node, Ruby, Python, Java and more. This is a though battle for ASP.NET, because up until now you had to be a Windows user to be able to develop web applications with ASP.NET. In the last few years this problem has become even more prominent with many new languages gaining more popularity and putting ASP.NET into the shadows. The biggest problem is that the .NET framework and ASP.NET are not cross platform compatible. As a web developer you are writing applications which can be understood by any browser, any OS and any device which is connected to the web. There are no limitations, but with ASP.NET you can only develop from a Windows machine. That doesn’t make much sense when you think about it. This limitation has an impact on the adoption of ASP.NET on several levels. Recruitment is a good example. There is a massive shortage of good software developers at the moment. Ask Ayende how hard it is to recruit a new talent. Imagine how much harder it is if you limit your talent pool to Windows users only? Not only do you waste more time and resources on the recruitment process itself, but also have to pay higher salaries for developers where the demand is higher than the supply. It can be difficult for companies which are heavily committed to the .NET stack to change directions now, but what about startups? Many of today’s biggest internet businesses were born out of small startups. They use free open source technologies such as PHP, Ruby, Python, Java or Node.js. This has a double negative effect for Microsoft. Not only did they lose the opportunity to sell ASP.NET, but they also send out the message that if you want to build a successful business you pick an open stack over proprietary software. ASP.NET is probably one of the feature richest and fastest technologies you can find, but why would a startup care about this in the beginning? If they do well they can deal with this stuff later and if it doesn’t go well then its good they didn’t have to pay for a Microsoft license, right? Another major implication of not being cross platform compatible is that current ASP.NET 4.6 developers are missing out on big innovations which are not immediately available on the Windows platform. Over the last years Microsoft was chasing after many innovations by providing its own version to the .NET community, but not always with success (Silverlight, AppFabric Cache, DocumentDb, Windows Phone, etc.). This is not a sustainable model. As a result many ASP.NET developers live in silos today. We are at a point where Microsoft cannot keep up with the vast amount of technology anymore and ASP.NET developers miss out on big innovations such as containers and Docker and don’t even realize it, because they know very little to nothing about it. This is a dangerous place to be. Cross platform compatibility is more than just a fad. It is the key to innovation today and the only way to stay on top of the game! So how does Classic ASP.NET fit into this new world? Not much to be honest. ASP.NET 4.6 has a really though time to keep up with this fast moving environment. On the plus side ASP.NET Core 1.0 can be developed with some of the greatest languages available right now, thinking of C# and F# in particular! This will stick out ASP.NET Core from other competitive frameworks. What will happen to ASP.NET 4.6? I don’t know, but I would argue that ASP.NET 4.6 is a dead horse in the long run. There is very little value in betting any more money on it. Microsoft wouldn’t say this yet, but it is pretty obvious. ASP.NET Core 1.0 is the new successor and the only viable solution to address the aforementioned problems. ASP.NET 4.6 will be soon remembered as Classic ASP.NET. It will not entirely disappear, just like Classic ASP has never fully disappeared, but new development will likely happen in ASP.NET Core going forward. I find it extremely exciting and the benefits of ASP.NET Core are too compelling to not switch over as soon as possible. The only thing we need to hope for is that Microsoft will not become impatient now and mess up the release with an immature product which will cause more churn than attraction. Microsoft, please take the time to bake something to be proud of! CheapASPNETHostingReview.com | Cheap and reliable WordPress hosting. If you have been surfing the web for a while, you have at least seen this error a few times. Error Establishing a Database Connection is one of those curses that could be caused by many reasons. As a WordPress beginner, this could be awfully frustrating specially when it happened on its own without you changing anything. We ran into this issue yesterday on our own site. It took a little over 20 minutes to detect and fix the problem. While doing the research to find possible causes, we realized that there was no good article that covered everything. 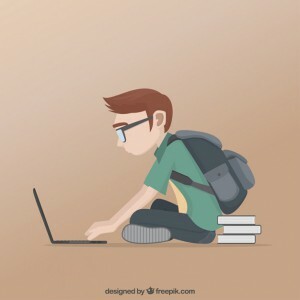 In this article, we will show you how to fix the error establishing a database connection in WordPress by compiling a list of solutions all in one place. Remember your DB_Host value might not always be localhost. Depending on the host, it will be different. For popular hosts like ASPHostPortal, HostForLIFE, DiscountService, it is localhost. You can find other host values here. We got on the phone with ASPHostPortal and their support quickly found the problem. Somehow our user’s permissions were reset. Not sure how that happened, but apparently that was the reason. They went back in and restore the permissions and we were able to get the site back live. Make sure to replace YOUR_SITE_URL with the actual url example: http://www.wpbeginner.com. The wp_options will be different if you have changed the default WordPress database prefix. CheapASPNETHostingReview.com | Best and Cheap osCommerce hosting. 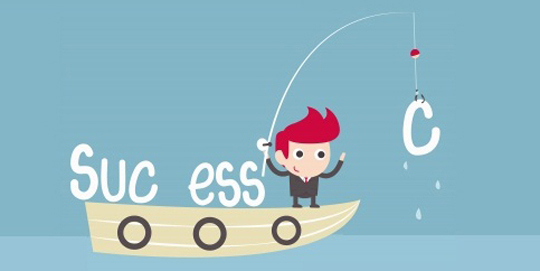 Today I would Like share my article about Tips make your eCommerce website successful. While online commerce gives you the opportunity to enjoy a global reach when it comes to building up your audience, it can also be very challenging to outrank the competition. Getting enough traffic to your website is one thing, but increasing your conversion rate is quite another matter. You may have thousands of unique visitors coming to your website everyday due to having an ambitious marketing strategy in place, but if your conversion rate is too low, and not enough people are actually buying your products or services, this statistic is largely irrelevant. On the other hand, a website which is well designed will help you to sell more. It needs to offer useful content of a high quality standard and a user-friendly navigational system which works across the ever -increasing variety of different platforms. The following five tips will help you to improve your e-commerce website not just to increase your traffic, but more importantly, your conversion rate. People tend to leave a website within a matter of seconds if its navigational features are not immediately clear. Good navigation is one of the most important aspects of all, yet in spite of this, many designers get it wrong. It is also essential in this day and age to ensure that your site is easy to use across different platforms. Ideally, your website should be able to automatically adapt to different screen resolutions and sizes so that it looks great and maintains its ease of use on mobile browsers as well as desktop browsers. You can achieve this by using responsive Web design techniques or even providing a separate mobile version of your website. Web users aren’t exactly known for their patience, and if they stop to visit your site only to be greeted with poor performance, they will leave quickly. If the most important content on your website doesn’t load within a few seconds, the majority of your visitors will click the back button and never return. Website performance is largely down to two things – your hosting company and the design itself. Too many graphics, poor coding techniques and excessively elaborate themes and design styles will all slow your website down. Sometimes, however, your hosting company might be the problem, in which case it is definitely time to find a new one. Content is the most important thing of all on the Internet. People browse the Internet to get information, not to view advertisements and sales pitches of their own volition. If they are visiting your website, they will want to find out more about your products and services. They will want to see specifications, user guides, reviews and detailed information about what you are offering before they will be willing to part with any money. Avoid copywriting mistakes above all – few people have any patience for blatant spelling and grammar errors or content which is clearly poorly researched. Quality content will help to earn trust, ultimately building up your brand image. People usually don’t want to be confronted with a wall of text when they want to find out more about a product or service. While textual content is undoubtedly important, you should not rely on it entirely. People are far more likely to purchase a product if they can see some pictures of it, or better still, a video. Provide thumbnail images in order to keep your site’s performance up-to-scratch. People can always click on them to see a larger version. Ensure that the full versions are high in resolution and quality, giving a thorough impression of the product in question. The video medium is also great for demonstrating, reviewing and explaining how to use products. In spite of the fact that e-commerce has been mainstream for years now, a lot of people are still understandably anxious about providing things like personal information and payment details online. If your e-commerce website falls victim of a hacking attempt, you could end up losing customers in droves. To help prevent this from happening, use a secure e-commerce platform with an impeccable reputation and the very latest security features. All e-commerce websites need to use SSL (Secure Socket Layer) encryption as well. It is also wise to avoid storing full credit card details and other sensitive data in your site’s databases. 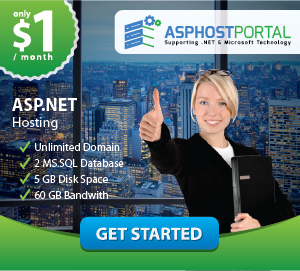 ASPHostPortal.com is one of the leading providers of osCommerce hosting services for providing complete strategy to your cyber problems concerning web hosting, e-commerce and cloud hosting working throughout 24×7. This year group commemorates 10 years of the successful existence. The most important plays a part in this success happen to be authentic and relevant solutions of questions pertaining with web, service of experts, friendly customer services and finally the final although not least reasonable charges for qualitative services. The key reason utilizing web hosting services of ASPHostPortal.com is it provides consistent and protective web hosting services through the use of beautifully shaped data centre that results severance and backup system up to 100%. Every one of these services are finished by team of professionals who are experts in their respective fields and are dedicated to deliver better of remarkable ability.